Canned Heat features its music video, eliminating any on-screen dancers. Though Canned Heat's BPM is listed as 128 in-game, it actually ranges from 128 to 129. 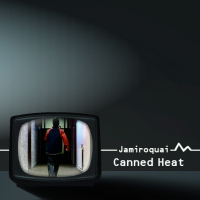 Canned Heat later appeared on Jamiroquai's fourth album, Synkronized. The on-screen lyrics for Canned Heat misspell is as if in the lyrics "You know this boogie is for real".